Basal cell carcinoma is a type of cancer that grows on parts of the skin that get exposed to the sun a lot. It is one of the least risky types of cancer and can be cured once it is detected early. It is unlikely to spread from your skin to other parts of the body, but it can move into nearby bones of tissues under the skin. 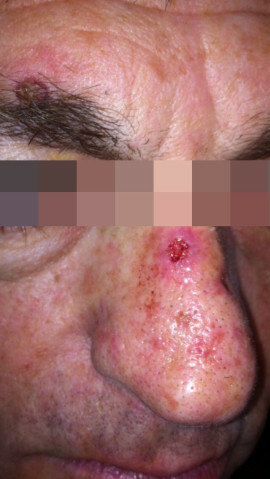 The tumours start off usually as small shiny bumps mostly on the nose or other parts of the face. |The tumours usually grow slowly and don’t come up for many years, even after intense or long-term exposure to the sun. Too much exposure to the sun or tanning beds can cause you this cancer. 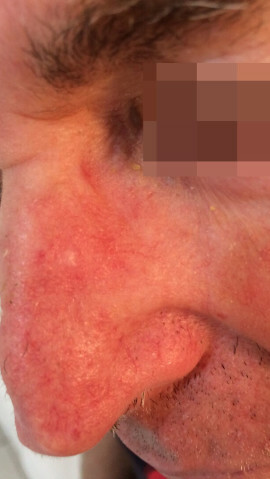 Doctors have come up with basal cell carcinoma treatment that is effective. 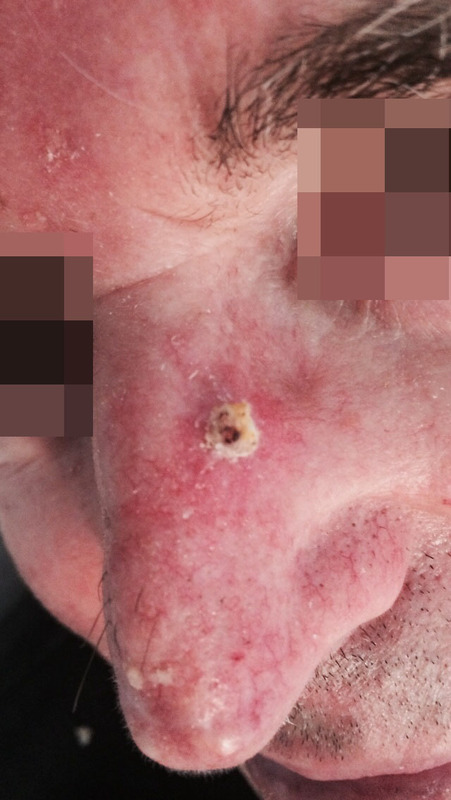 Basal cell carcinoma can be noticed as a small skin growth in some dome shape that has blood vessels in it. Initially, it can develop like a small ‘pearly’ bump which looks like a flesh-coloured mole or a pimple that doesn’t go away. This growth may sometimes look dark as well. Or you may even see shiny pink or red patches that are slightly scaly. Another noticeable symptom is a waxy, hard skin growth. The growth will be fragile and can bleed easily too. Experts have told causes of basal cell carcinoma as being the harmful ultraviolet rays of the sun. Also, tanning beds are one of the reasons for basal cell carcinoma. When the harsh Ultraviolet rays hit your skin, over the time, they can severely damage the DNA in your skin cells. The DNA contains the code for the way these cells grow. So with the passage of time, damage to the DNA can cause cancer to form. The process may in fact take many years. Try avoiding the sun or seek the shade between 10 AM to 4 PM. Always use a broad spectrum (UVA) sunscreen which has SPF of 15 or higher every day. Keep examining your skin every month in detail. Visit a doctor every year for a professional skin examination. There is few basal cell carcinoma treatment available with the aim of getting rid of cancer leaving behind a small scar, however, small as possible. The doctor will consider overall health and various other things before starting with treatment. Freezing the cancer cells, also known as ‘cryosurgery’, In this, the doctor kills the cancer cells by freezing them with liquid nitrogen. Radiation therapy: in this method, x-rays are used to kill the cancer cells. It is done over several weeks. Applying Dr. Zamir formula on the Basal cell carcinoma causing incrustation. Between one to two weeks, a new layer of the skin starts developing and naturally the Basal Cell Carcinoma incrustation starts to peel off. 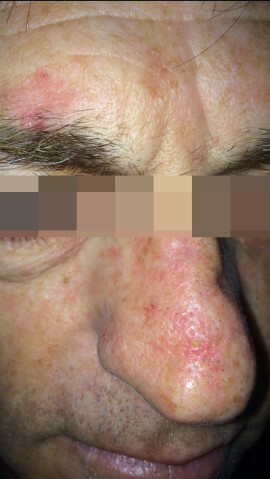 In some cases, repeated basal cell carcinoma treatment might be needed for 100% result. Get in touch with us for a natural homeopathic basal cell carcinoma treatment which can help you cure this cancer. At the same time, we ensure that your body is not subjected to any harmful chemicals or drugs. Will you provide any personal medication should I need them? The High Precision Dermatology Centre have its own in house Homeopathic pharmacy. Should you require any medications we can supply these immediately and will talk you through how to use them before you leave the clinic. What are the causes of Psoriasis ? What are the causes of Birthmarks ?